At this point, it just seems unfair how much better the Japanese are than us at fast food. From black buns to the blueberry-topped Berry Krishmush, Burger King has been a leader in the category of crazy, Japan-only menu items. Now, the chain is at it again with a burger smothered in cheese fondue, which Burger Business reports will hit stores on January 5. This new creation will come with a choice of beef or chicken patty, and you can either dip it into the fondue, or drizzle the wine-and-cheese–based sauce over the top. The latter looks a bit suggestive, but that’s only if you have an extremely filthy mind. 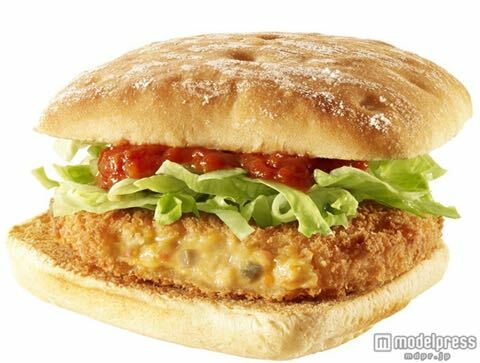 Not to be outpaced, McDonald’s Japan also has a brand-new item to unveil: a crab croquette burger, where the croquette patty is made with snow crab and mushrooms. The word croquette might be French, but its Japanese version, the so-called korokke, has been a staple of Japanese comfort food since the beginning of the 20th century. This version will be topped with tomato sauce and lettuce, then stuffed inside a ciabatta. There’s some precedent for this move: Last year, Wendy offered a snow-crab burger, featuring strips of snow crab doused in a crab and shrimp shell bisque, along with spring greens and cheese sauce, all atop a beef patty. Think of it as surf and turf on a budget.